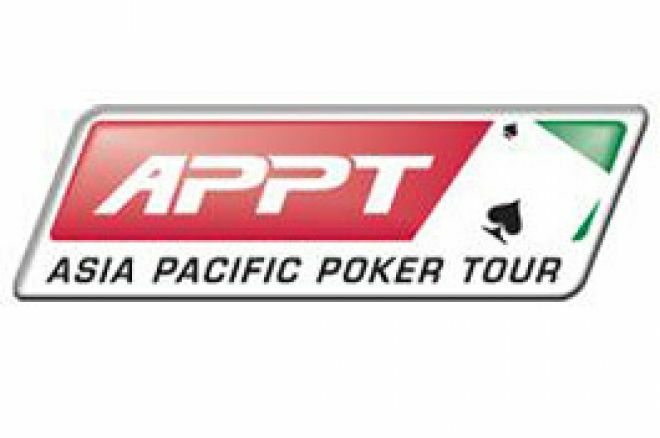 The inaugural Asian Pacific Poker Tour (APPT), brought to you jointly by Pokernews and Pokerstars has just finished, with 22 year old US student Brett Parise returning to California $179,775 the richer. The story could have been a lot different as Parise only received his passport two hours before boarding his plane to Manilla. Over 220 players from all corners of the globe bought into the $2,500 main event in the Philippines. Although many were qualifiers online through Pokerstars they were also joined by World Class pedigree in the form of Joe Hachem and Daniel Negreanu. Regrettably neither man made it into the elite group of 72 players attending day 2 as both were two of the early casualties. Ira Blumenthal was the most active player at the start of day 3 and quickly stole the chip lead, short stacks were busting left right and centre and after Van Marcus and Nicholas Bamman were eliminated in 3rd and 4th place respectively, Blumental and Parise were left to duke it out in a 3 hour heads up match. Eventually a short stacked Blumental pushed with and was called by Parise holding . Despite a lot of support from his friends screaming for a jack on the flop his hand didn't improve and Parise was crowned the first ever APPT champion. The next stop on the tour is Seoul at the end of September so make sure you stay here to find out all the news from that. Meanwhile if you want to keep abreast of all the action at the EPT in Barcelona look no further than our EPT Live Updates here at Pokernews starting tomorrow. Ed Note: Qualify for the EPT, APPT or the WSOPE at Pokerstars and get a $150 bonus too.